Laura Jean Kahl owns Rabbit Hollow Farm in Washington County, Pennsylvania. A fairly rural county of just over 200,000 people, it sits south of Pittsburgh bordering West Virginia. The 50 acres of land has been in Kahl’s family since the Great Depression. Her great grandfather purchased the farm by means of employment through the United States Postal Service, and over the years, his sons were able to build their own homes and raise their families on the land. After Kahl’s grandmother passed away in 2015, she made the decision to take over the farm with her husband. 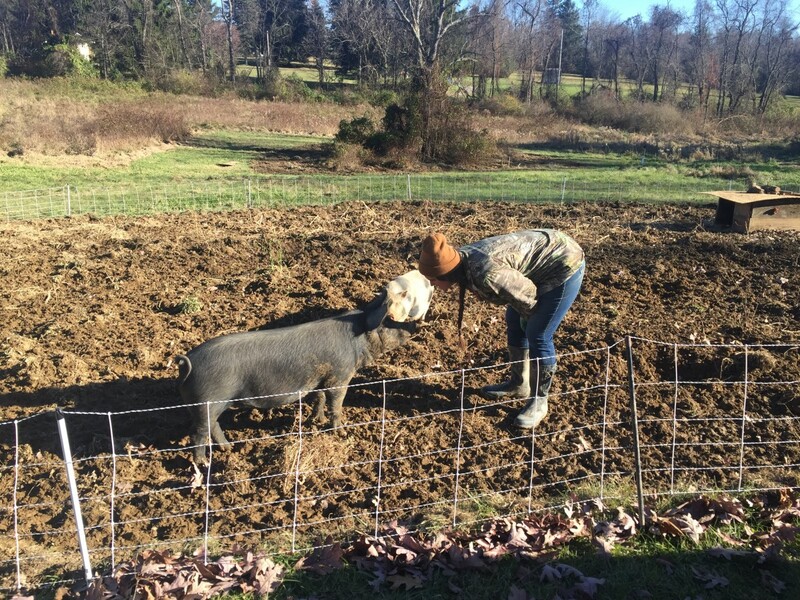 Kahl raises pigs and chickens, and is “experimenting” with produce, growing over a dozen types of vegetables. Rabbit Hollow also presses cider using apples from their orchard, and they’re working towards becoming certified maple syrup providers. Not long ago, Kahl was attracted to the idea of introducing a new crop to her farmland: cannabis. Although that may seem like an exaggeration, the money it takes to submit an application to grow medical cannabis, let alone buy a permit if that application is accepted, is well outside of Kahl’s reach. But she’s not alone. Any number of small farmers in the state have been priced out of this budding industry and regulations prevent minority communities from participating as well, making both growing and selling an exclusive privilege in Pennsylvania. Pennsylvania’s Medical Marijuana Act, also known as Act 16, was signed into law by Governor Tom Wolf in April 2016 to “provide long overdue medical relief to patients and families who could benefit from this treatment,” Wolf said the day of the signing. Along with ensuring a safe outlet for the purchase of medical cannabis, Act 16 also shields individuals and physicians from civil and criminal penalties. Since, the legalization of medical cannabis has created a new source of revenue for Pennsylvania. It is projected to bring in almost $8 million just from permit application fees during the 2017-2018 fiscal year. Growers and processors could pull in an estimated $5 million during the program’s first year, and dispensaries at least $50 million. In the future, the industry could lead to millions more for the state and permit holders if recreational use is legalized. A report from Pennsylvania’s Auditor General estimates recreational marijuana could be a $1.66 billion industry, and that estimate does not include the economic activity generated by jobs and businesses created to support the industry, according to the report, just direct sales. An industry of that size would generate $581 million in annual state revenue from the taxation and regulation of cannabis. But, as Kahl found out, participation comes at a high cost. During the first two rounds of the state’s medical marijuana application process, which took place in 2017 and 2018, the application fee for growers was a nonrefundable $10,000 and, if accepted, the permit cost $200,000, but that fee had to be submitted up front with the application. Rejected applicants were refunded the initial permit fee. On top of that, potential growers like Kahl needed to prove to the state they had $2 million in capital to even be considered for a permit. Paul Leger, former finance director for the City of Pittsburgh, said fees shouldn’t be arbitrarily set for any industry, but in this case, they could be justly high. In the permit application, there are stipulations that could render the fee necessary for the cost of the state to regulate and oversee grow operations, like the creation of an electronic system that allows the state to track the inventories of all approved sellers on a daily basis. “What it came down to was passing Act 16 swiftly to provide immediate relief to individuals and families,” Gainey said. The number of farms in the U.S. peaked in 1935 and then declined drastically into the 1970s, but during that time, the amount of farmland in the U.S. remained about the same, according to the U.S. Department of Agriculture. Over the decades, small farms have been bought up by larger producers who have much higher rates of productivity, making it difficult for the rural farmer to compete. The majority of farm operator households operate at a net loss from farming activities, according to the USDA, and that loss is expected to grow in 2018 to negative $1,691 from negative $800 in 2017. Some rural farmers, like Kahl, see cannabis as an opportunity to combat that downward trend. “It would be incredibly beneficial if it was possible for small family farms to be able to support themselves with [medical cannabis],” Kahl said, but the cost of the application and permit in Pennsylvania makes it impossible for small operators like her to enter the industry. Aside from setting the application and permit fees excessively high, Brittain believes Pennsylvania’s lawmakers also made a mistake by not creating a tiered operational system within the industry, which will continue to be a barrier to entry for small farmers. Brittain used Ohio as an example, which created a tiered permit system based on facility size. The state allowed Level I permits to operate a 15,000 sq. ft. cultivation area with a $20,000 application fee and $180,000 licensing fee. Level II was allowed 1,600 sq. ft. and needed to submit $2,000 for the application fee and $18,000 for the licensing fee. Aside from being able to afford the fees and have the capital, or “play ball” as Rep. Gainey put it, Pennsylvania’s application process requires applicants to consent to background checks, a fairly common requirement among states who have approved these types of laws. In Pennsylvania, anyone who is financially involved in the medical cannabis industry, or is an employee of a medicinal cannabis company, cannot have been convicted of any criminal offense in the past related to the possession or sale of illegal drugs, narcotics or controlled substances. And that includes marijuana, which is still considered a Schedule 1 drug by the U.S. Drug Enforcement Agency. “If you weren’t going to maintain institutional racism in the bill, and considering [cannabis] is likely to be decriminalized, you would not have had that as a stipulation,” said Jamil Bey, president and CEO of UrbanKind Institute, an organization in Pittsburgh committed to equity and social justice. A disproportionate number of people of color are affected by U.S. drug laws and African Americans in particular are over-represented in the nation’s criminal justice system, said University of Pittsburgh Law professor David Harris. Making it illegal for people with possession and sales charges to participate in the industry will, therefore, disproportionately leave communities of color out of Pennsylvania’s industry, he added. Other states have worked to find ways to be more inclusive. Massachusetts, which has legalized recreational and medicinal use, recently created an equity program with the goal of making “sure those hit hard by the war on drugs are able to access and benefit from the legal marijuana industry,” according to WBUR in Boston. The state’s program allows people with past drug convictions to participate in workforce development training and find jobs in the industry or start their own business. What Does the Future Hold for These Two Groups? On September 26, State Representative Jake Wheatley Jr., D-Allegheny, introduced House Bill 2600 into the Pennsylvania legislature. The bill proposes the legalization of recreational cannabis as well as erasing prior cannabis convictions from peoples’ records. It is not expected to pass, but is seen as a step toward opening up the industry in the state. “The joy we get from being able to provide nutritious and whole food to people…we’d probably take the same care and enjoyment in growing [a product] to help alleviate peoples’ pain and suffering,” Kahl said. But so far, no bill has been introduced in Pennsylvania to address the current amount or structure of the fees to cultivate, process or sell cannabis, leaving Kahl with little hope for a change in the near future. This story was supported by The Pittsburgh Pitch, a project of 100 Days in Appalachia and the Center for Media Innovation at Point Park University.